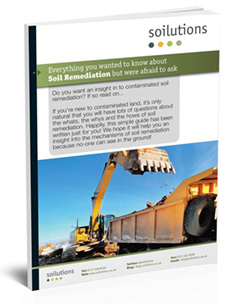 how long does remediation take? A Remediation Strategy can only be designed once sufficient information has been obtained; e.g., without enough pieces of the jigsaw you’ll only be guessing at what the picture might be…! So, to avoid wild guesses and wasting lots of time and money you do need to do your homework. Firstly, a detailed Phase 1 (Desktop Study) and Phase 2 (Intrusive Site Investigation) must be completed with adequate information to inform the strategy decision making process. One of the failings of a lot of consultants is that they ‘talk a good game’ but are not fully up to speed with remediation techniques and when undertaking a Phase 2 do not collect additional pertinent information. This leads to uncertainty and hence increased remediation risk profile, and where there is increased risk this can only mean one thing – more cost…! As an example, we have yet to come across a consultant who obtains a microbial count when it is blinding obvious from the outset that bioremediation will be a major remedial option consideration. Secondly, there are many other factors to take in to account, such as; timescale for completion, available space, climatic conditions, regulatory concerns, local receptors (you don’t want to be injecting chemicals right next to a sensitive receptor…do you…! ), site end use, financial constraints, etc. Thirdly, you really need to have a lot of experience in remediation implementation. By this I do not mean having a lot of Environmental Consultancy experience, but practical hands on, ‘getting your boot dirty’ remediation experience. Without this you’ll probably spec a pump not man/woman enough for the job in hand, end up with a machine to big to fit on to the site or book too many lorries and end up with standing time charges. So, to answer the question at the beginning of this post the only real answer is to speak to a specialist who knows what they are talking about paying them for their time and effort, as you would for your accountant, solicitor or landlord…! We’re always happy to provide a little bit of free advice at the beginning of your journey cleaning up your site so why not go ‘old school’ and give us a call. Or if you prefer drop us an email or launch your pet carrier pigeon in our direction…free bird food for every enquiry received this way…! Bioremediation in action - Exciting! An important question in any contaminated land remediation project, one which is in general second only to ‘how much will it cost?’. Here are a few guidelines including factors which affect time frames. I’ve used ‘dig & dump’ as an example for engineered options (e.g. stabilisation, capping layers), and ‘bioremediation’ as an example for treatment options (e.g. chemical oxidation, groundwater treatment). We’ve found that treating materials in-situ helps speed developments along as some treatment can be carried out during development. Dig & Dump – Access to soils, access to the site, machine size & frequency of transport. With a single 20 tonne machine loading continuously, it should be possible to load at least 100-120 tonnes of material an hour. You can scale this up or down fairly simply. You should be able increase the loading if you can fit artic lorries in, have more than one digger etc. The list of possible constraints is fairly long, for example limited access to site may mean you can only get one tipper in at a time, leading to an increase in change over times whilst an empty tipper replaces the full one. Another issue may be speed of excavating material from the ground if it’s not already in a stockpile, unexpected obstructions can really slow the process down. Bioremediation – Temperature Variations, Bacterial Degradation. Treatment options can be difficult to accurately estimate. Ideally bioremediation estimates are based on a comprehensive suite of chemical and biological analysis, a laboratory trial and a field trial. With all this information we can put together accurate timescales. However when the project is in the planning stage we often don’t have all that information. Whilst we can control most factors in bioremediation, seasonal temperatures make a big difference to bioremediation, winter months are very poor (unless we heat the soils, which can be costly), summer months are generally good, equatorial climes are ideal. Bacterial degradation rates are manipulated in bioremediation, however we come across the same issue that without a trial the rate of degradation can only be approximated. When adding degrading bacteria, the bacteria’s ability to thrive in a new environment is key to time frames. My point is that timeframes for engineered solutions can be worked out with precision (taking into account the occasional breakdown etc. ), whilst treatment options are more difficult to estimate without an investment in trials etc, however using experience, decent estimates can be made with limited information. Feel free to get in contact (0131 538 8456, info@soilutions.co.uk) if you want to chat about a specific project. Options appraisals can be invaluable at the planning stage.